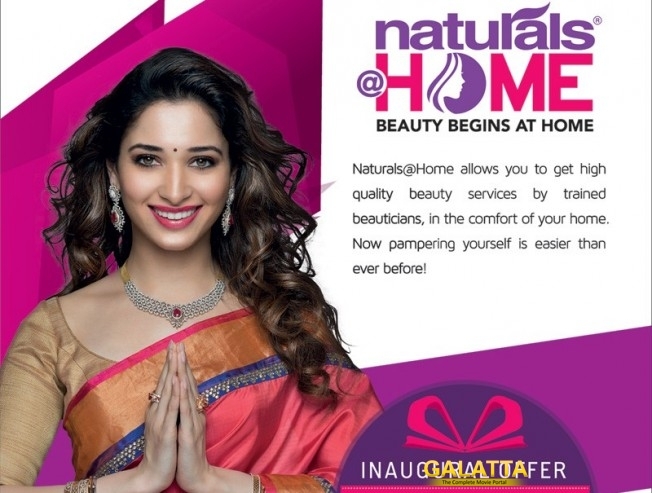 Country’s largest salon chain Naturals has roped in Baahubali actress Tamannaah to inaugurate it's innovative and new on-demand professional beauty and wellness service 'Naturals@Home' in Coimbatore on Aug 18. So far, Naturals has around 550 salons in 80 cities--definitely, the numbers are more than twice of its competitors. Followed by the great response from Chennai women, the company is now rolling out its home beauty services in Coimbatore. Now, women can get pampered at the comfort of their home.